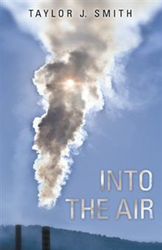 Author Taylor J. Smith was propelled to write “Into the Air” (published by LifeRich Publishing) by ongoing environmental concerns: “I think degradation of the environment is the most pressing issue of our time.” A detective story at the core, “Into the Air” exposes how the chemical industry is able to avoid scrutiny despite the large amounts of chemicals in world commerce. Smith made sure that his story did not transgress reality: “‘Into the Air’ does not shrink from actual science,” he says. He hopes his story will help readers understand that ignorance of issues will not keep one safe from harm. Taylor J. Smith enjoys collecting various theories about the world, most of which are available at avonhistory.org/. This is his first book. Smith thanks his wife for her support and encouragement throughout his creative endeavors. LifeRich Publishing, the strategic publishing partnership of Reader’s Digest and Author Solutions, LLC, was created to provide all writers a platform for sharing their stories, recipes, advice and more. LifeRich authors will benefit from a wealth of editorial design, marketing and education resources, specially created by Reader’s Digest editors for the enrichment of these LifeSmart individuals. Books can be published in print, ebook or audio formats, with additional distribution to up to 25 million Reader’s Digest customers through its online properties.For more information about LifeRich Publishing, or to begin publishing your book today, please call 1-888-238-8637 or log on to liferichpublishing.com. Follow @LifeRichPub on Twitter and “Like” us at facebook.com/LifeRichPublishing for the latest updates.